Last fall and winter, I heard many of you sing the praises of braising. At first I didn’t own an oven ready pot then the Christmas fairies presented me with a lovely Staub Dutch Oven perfect for slow braises. Somehow, lazily I didn’t get on the bandwagon. Instead I thoroughly enjoyed friends contributions of braised pork, short ribs and other delicious tender meats. Don’t ask me why, but when I saw the weather dip this past weekend I decided it was time to venture into the world of braising. I consulted some of my braising enthusiast peers. Frank suggested a milk based braise, which intrigued me. Pork slowly simmering in milk, yields some of the most tender meat. I like that idea. After a bit of research, I stumbled upon this recipe from Bon Appetit. The recipe intrigued me, seemed somewhat complicated for my first braising attempt however I liked the idea of the challenge. Interestingly enough the recipe uses a milk braise, as well as wine and pureed tomatoes. Unfortunately I didn’t take any pictures during my cooking adventure. The recipe turned out quite excellent despite a few blunders on my part. I probably “chopped” my veggies a bit too much in the food processor yielding more of mush so I had to improvise a bit during the “browning.” I’ll also note that the recipe calls for 2-1/2lbs of meat, it was supposed to feed 12 first course servings, the amount of meat barely served four modest portions with a bit of leftover meat. However, I have a generous portion of the delicious sauce, which literally I could eat by the spoonful. I’m considering buying more pork to roast and add to the existing sauce or perhaps a pasta sauce to freeze for later. I’ll also note, I used Carlton Farms pork from Rainshadow Meats, I cannot speak highly enough about their overall quality, freshness and value for the cost. If you live in Seattle, for sure make a visit to the delightful Melrose Building. The semolina gnocchi as well was lovely. A very dense cake was certainly more like polenta but equally delicious. My milk had cooked up to a bit too high of a temperature so instantly when I added the semolina it thickened. As mentioned by the directions, this recipe is a multi-day process. I started mine 24 hours before, chilling the meat with the salt and cinnamon then waking up early to cook the meat and leaving about five or so hours to chill. Perhaps the “rushed” time period affected the results, but I’m doubtful. I do know this, I thoroughly enjoyed my first slow braised meat results. I’m looking forward to trying more this winter including short ribs in a cocoa coffee based braise, a coke braised pork as well as using beer to braise. If you haven’t tried braising, I highly suggest you do, it’s relatively easy yielding wonderful results. Scrumptious Seattle never took off in the way I wanted. So I’m trying a few new things, doesn’t hurt to shake things up a bit and find what’s right for us. Thanks for sticking around for the journey. 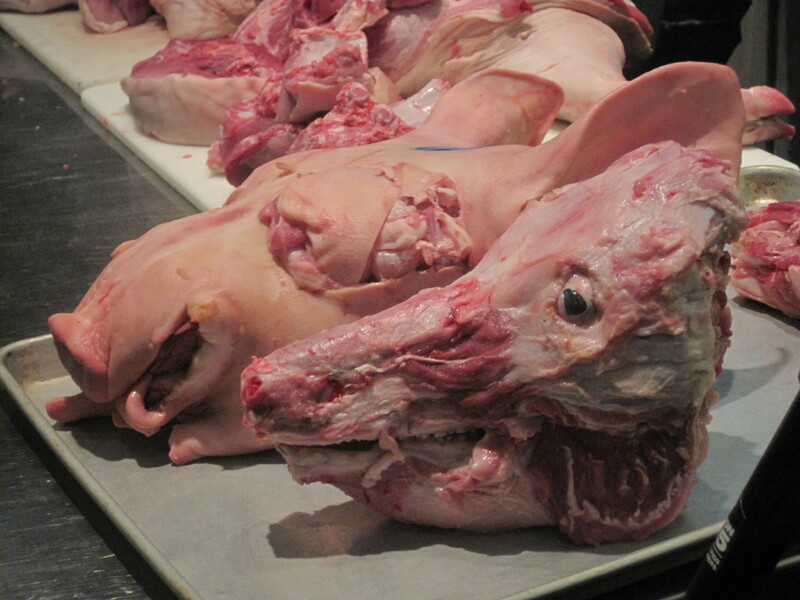 Cochon 555 is the ultimate pork experience. On May 23 fervent swine enthusiasts gathered in Seattle for the ultimate showdown. I was lucky enough to be sponsored as an official correspondent for all things pig by FoodBuzz. I arrived ready to eat and imbibe in some local wines. Armed with stories from the famous incident the previous week at Portland’s Cochon555, we were curious to see what would happen at the Seattle stop of the tour. John Sundstrom of Lark cooked using a Berkshire Heritage Pig from Newman Farms, Missouri. 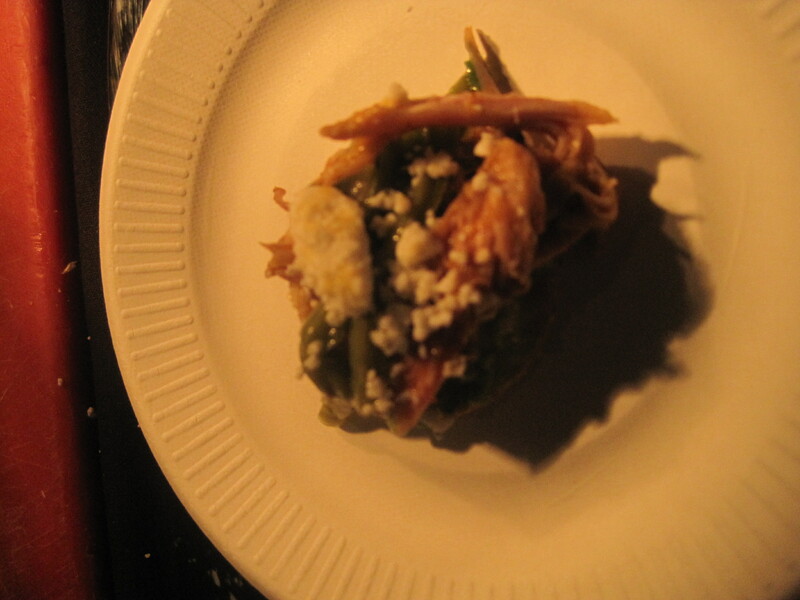 John’s food was definitely the winner among attendees and the judges, crowning him the “King of Pork” of Seattle. Unfortunately their table ran out of the food early in the evening thus I missed sampling their food. The most favored bite from Lark was a pork belly tarte tatin with soy-ginger caramel & pineapple. My understanding from other attendees, Sundstrom’s food was the most creative with complexity of flavor notes. The runner up and my personal favorite for the evening were the offerings from Chester Gerl of Matt’s in the Market. Chester cooked up a variety of delights using a Red Wattle Heritage pig from Lazy S Farm, Kansas. The best bite of the evening for me, was a Mexican inspired concoction using braised pork belly & shoulder, avocado, cilantro on a chip, similar to a tostada. Their posole was also my favorite rendition, topped with porkcorn. A close tie for me was Adam Stevenson from Earth & Ocean cooking up a Berkshire/Duroc from Tails & Trotters and Tamara Murphy Productions utilizing a Tamworth variety from Metzger Farms, Kansas. 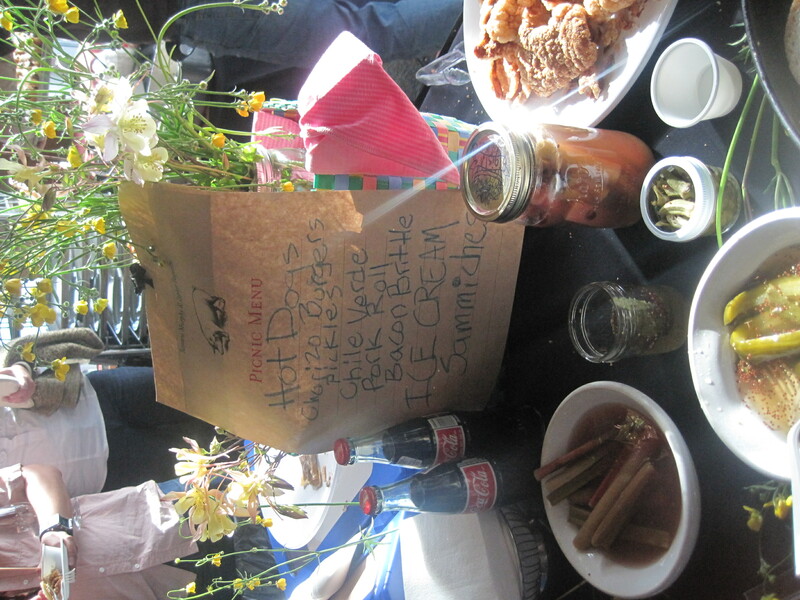 Sporting special “piggy” t-shirts, Tamara Murphy’s standouts included a bacon brittle & a savory interpretation of an ice cream sammy. 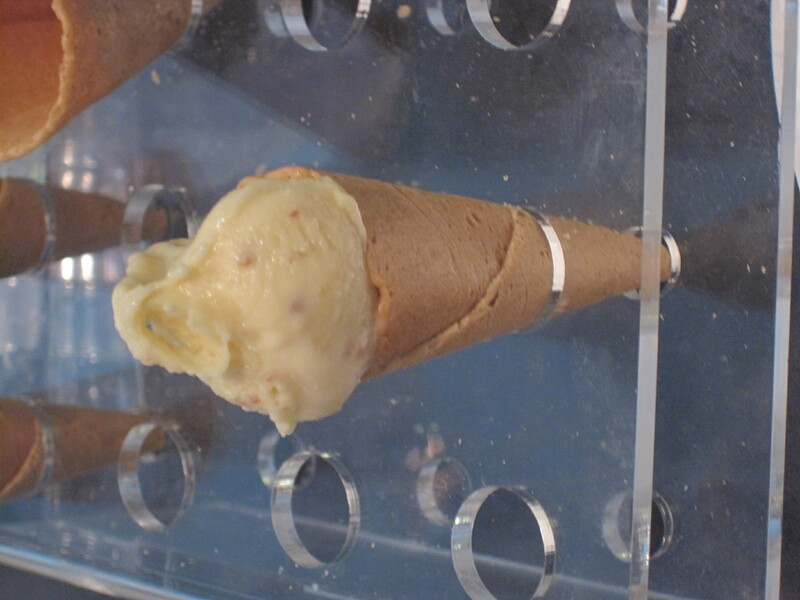 Stevenson’s bacon ice cream had me going for seconds, the right proportion of bacon and sweet. Our local representation came from Wooly Pigs, prepared by Anthony Hubbard of Chow Foods. Their offerings were my least favorite of the evening, although some seemed to enjoy their rich red velvet cup cake with a whipped “lard” frosting. A variety of local wines including Buty Winery, Long Shadows Wineries, Elk Cove Vinyards, McCrea Cellars and Fidelitas Wines. I enjoyed the wines most from Buty & Long Shadows. Although trying to pair specific wines with the different pork dishes proved to be a bit complicated. I enjoyed this event, however I believe there could have been a bit better planning & execution on several accounts. Also, was the event worth the hefty $125 price tag? No. I particularly enjoyed the demonstration of the whole pig break down from 4505 Meats. Sadly I missed the raffle of the pig parts since I was sans business cards this particular evening. So was I porked out after indulging all that the evening offered? Absolutely not! 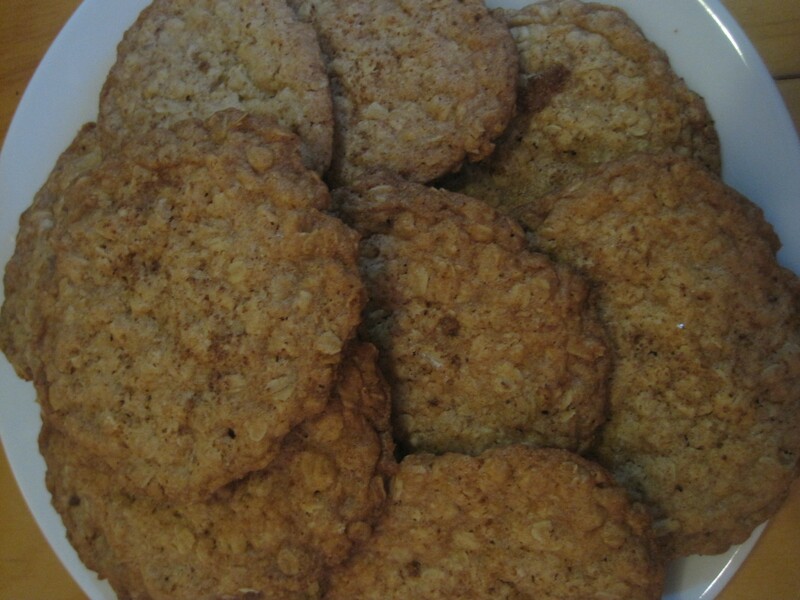 In all reality the “perfect” oatmeal cookie doesn’t exist, however, sometimes you find a recipe that hits the spot in more ways than one. A friend was hosting a small gathering for a fellow food blogger from San Francisco. I wanted something salty, but sweet. 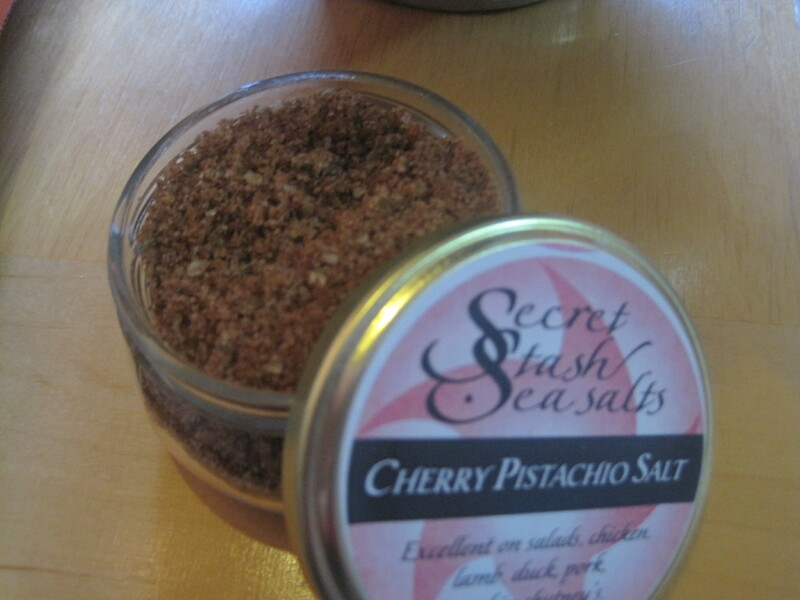 Plus I had recently acquired pistachio cherry salt from the amazing Janna of Secret Stash Salts. 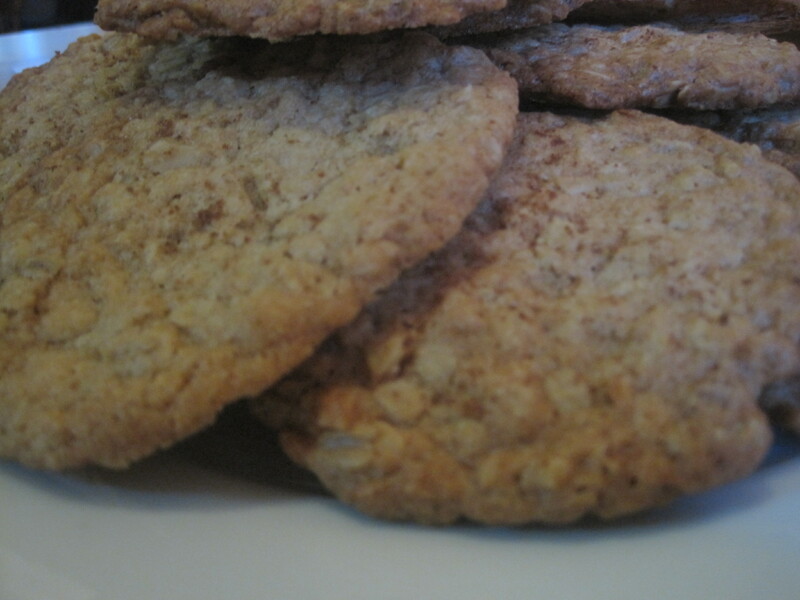 These cookies are delectable; buttery, crisp, sweet and salty. The basic recipe is identical to the one developed by the fine folks at Cooks Illustrated. My adaptation is the use of a flavored salt, I recommend using a coarse salt such as sea salt, fleur de sel or Maldon. In a pinch kosher salt would work too. These cookies keep well, but I promise they won’t last long. A tall, creamy glass of milk and one of these thin crisp cookies is perfection. 1. Adjust oven rack to middle position and pre-heat to 350 degrees. Line large baking sheets with silpat or parchment paper. Whisk together: flour, baking powder, baking soda, and salt in medium bowl. 2. In standing mixer using paddle attachment, beat butter and sugars at medium-low speed until just combined. Increase speed to medium, continue to beat until light and fluffy, approximately one minute. Scrape down bowl with rubber spatula. Add egg and vanilla, beat on medium-low until fully incorporated, about 30 seconds. Scrape down bowl. On the low speed, slowly add flour mixture, mix until just incorporated and smooth, for about 10 seconds. 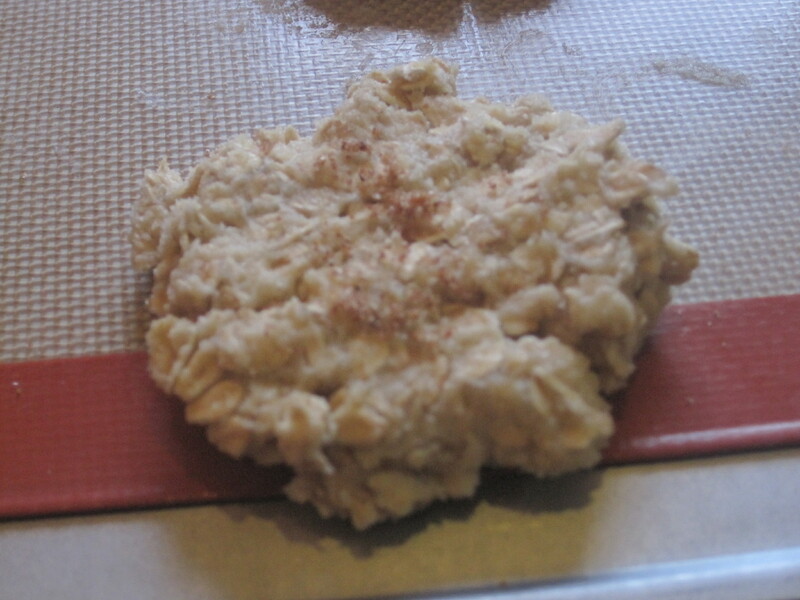 Gradually add oats, mix until well incorporated, 20 seconds. Using rubber spatula mix dough to ensure that no flour pockets remain and ingredients are evenly distributed. 3. Roll about 2 tablespoons (this will yield a large cookie) of dough using palm of your hand. Place cookies on prepared baking sheets, spacing them about 2 1/2 inches apart. Using fingertips, gently flatten each dough ball to 3/4-inch thickness. Lightly sprinkle sea salt evenly over flattened dough balls before baking. 4. Bake one sheet at a time until cookies are golden brown, 13 to 16 minutes. Rotate baking sheet halfway through (7 minutes) baking. After cooling for a few minutes, transfer baking sheet to wire rack; cool cookies completely on sheet. Enjoy! I don’t normally post about events, however, this upcoming event excites me. Two places I love coming together for a cause. Drumroll please…. Tako Truk and Two Beers Brewery. One day only. March 6, 1-6pm (ish) at Two Beers. I promise I’ll be there. Two fantastic forces raising money to buy Shelterboxes to send to Haiti. Shelterboxes (Rotary International project) for $1000 a piece provide basic necessities including clean water and shelter for up to 10 people. Their goal is to buy as many as they can from the proceeds of the event. Suggested donation aka the golden ticket, $20, buys you 4 tickets to use as you like (beer, tacos or bad beer toss). This summer like many others I became infatuated with Cormac’s (did I mention he used to work at Sitka & Spruce) delicious tacos, especially the pork belly and octopus. For detailed information on their greatness, check out what my good friend Frank has to say at Going for Seconds. Two Beers Brewery (may I mention how excited I am that my new office will be a mere two blocks away from them) produces fantastic beers such as their 20:20 blonde, Immersion Amber and Echo IPA. RSVP to wewannaparty@takotruk.com so they can plan accordingly aka have enough food to feed us. Follow @takotruk and @twobeersbrewing on Twitter for the most up to date information. I know Two Beers knows how to throw a party, so of course there will be live music, good people and hopefully some sun! See you all there. Two Beers Brewery is located i n SoDo just off of E. Marginal Way: 4700 Ohio Avenue South Unit A, Seattle WA 98134. As humans we have opinions, whether we want to admit to them or not, we do. With the growth of the internet, our ability to share our thoughts and critiques is exponential. In the food world, everyone wants to share their opinion, critique or proclaim their knowledge. Sites such as Yelp, Urban Spoon and CitySearch enable us to do so. No background checks or filtering, anyone instantly has access to state their authority on subjects such as the best taco, burger, pizza or pho. Restaurants are scrutinized, sometimes accurately, more often not. Professional restaurant reviewers often spend more time than people realize, researching, writing and tasting on multiple trips to make an accurate assessment of the establishment. Opinions are formed, transcribed and produced to a general audience. Much like in psychology they are held accountable to standards. We may disagree with their assessment, however the process should be respected. User generated review sites on the other hand operate in a completely different fashion. These sites are mostly driven through advertising with local companies. Yelp for example currently being sued for their business practices; largely considered unethical by some. Companies paying more to be featured, biased reviews and negative reviews shuffled under the table. Full disclosure, I am part of a user-generated review group for CitySearch, I am not paid for my thoughts/opinions, although we are rewarded for actively posting and generating lists/reviews. I sporadically use Yelp/Urban Spoon for information, ideas and recommendations. I highly suggest a few caveats when using user-generated sites. Most on Yelp self-proclaim themselves to be experts. I will not take advice from someone who names Taco Time as “the real deal” or compares Palace Kitchen to Claim Jumper. The “best” is subjective. What one person considers the best burger, the other may disagree, it’s personal taste. My favorite Seattle burger, Palace Kitchen. Instead tell me/describe what you liked about the pizza, the taco or burger; why was it so “good.” Why is a place so delicious? Favorite dishes? That’s what makes a useful review. Second, keep the review succinct, readers don’t want to know your life story or why you are such an expert on ramen, OK you lived in Japan, doesn’t mean you understand quality food. A powerful review explores the multiple attributes of an establishment. Personally I know several Yelpers, who are not professional reviewers by trade who write witty reviews in search of quality food. These individuals have discerning palates, refined taste buds and are well-traveled. Unfortunately they seem to be too few and far between, finding quality reviews is cumbersome. Alas, I find myself turning to other sources such as Twitter. Do businesses deserve to be scrutinized? In my opinion, yes, they do. It’s the nature of the business. With respect of course, candor should be expected. Did we experience poor service on a visit? Were the eggs over-cooked? Food under-salted? If that’s an individual’s experience then it’s likely others shared similar experiences. Do we return to places because they are our friends or the owner is nice, of course, does that mean everything is perfect, no. I work near a well-known bakery in the Seattle area, that I frequent often. On more than one occasion a macaroon was rock hard or a sandwich bland. If that was my experience as a first time patron I may not return. Luckily there are many other items I love about the place, so I return, knowing what to order. We patronize the places we love for many different reasons. When researching places to eat, I look to multiple sources: professional reviewers for published trade, user-generated review sites, friends and Twitter. I formulate my own opinion based upon the culmination of their experiences and my own. Our world is changing, information is available to us faster and in a multitude of forms. Think before you type, tweet or write. And remember if you don’t want it shared, don’t say it. A few months ago, I made Laurie Colwin’s Nantucket Cranberry Pie, as I chopped my cranberries several thoughts came to mind. My cranberries purchased from the farmers market, a few weeks before, were not “perfect.” Unlike mass produced ones, these were not perfectly round, brightly colored berries. Rather different sizes, shapes and colors. Inherently different, one no better than the other. Food fuels my soul. I find passion in cooking, eating and sharing food with others. I adore learning about new foods, trying a new recipe and exploring new flavor combinations. Yet, another part of me despises food. Food is the enemy. My weight and body issues continue to be a struggle. I remember being 10, recording my weight in my mom’s gradebook. My battle is not one I face alone, I realize many of you fight the same battle. 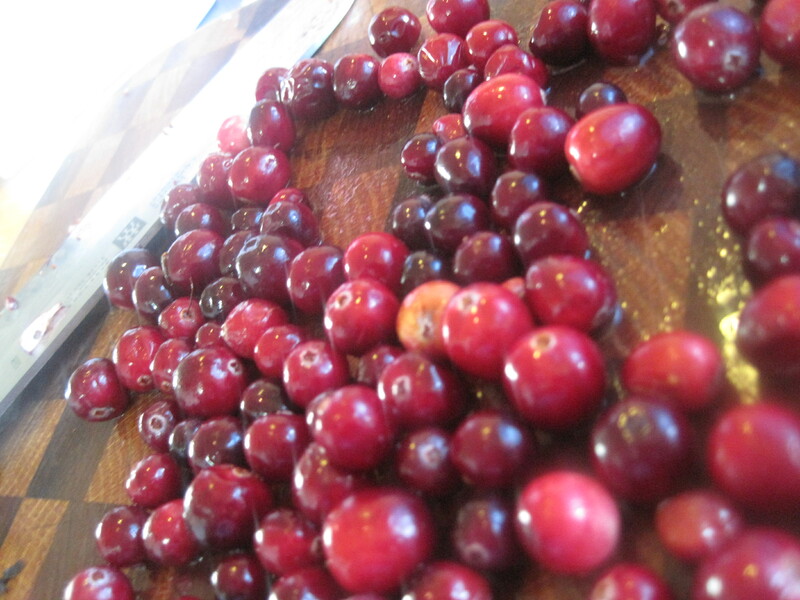 Those cranberries I patiently chopped reminded me not to focus on the defects rather celebrate the differences. So what if one is slightly less red than the others? In the end will I notice the differences in the pie? No, the pie well actually it’s more like a cake turned out delicious, a nicely dense dessert filled with fruit, nuts and the slightest hint of almond. Of course should I eat everything in sight? No. I know my waist line is growing. My clothes remind me of that often. I’m not your typical dieting person though, I am aware of the foods that are healthy and I thoroughly enjoy a juicy summer peach, roasted eggplant or fresh mixed greens. Several years ago I lost a significant amount of weight. This year my weight began to slowly crept up again. I find myself using more butter, heavy cream and all of the ingredients that make food taste good. But there has to be balance. Finding that balance is tough. I jokingly call it the Twitter Twenty or Thirty. How do we enjoy the delicious foods we love without compromising dedication to our health? Balance. I believe this is crucial. Sometimes we need a bit of a reality check. Portion control. Making choices. Educating ourselves about the food we eat. And sometimes as hard as it is, saying no. 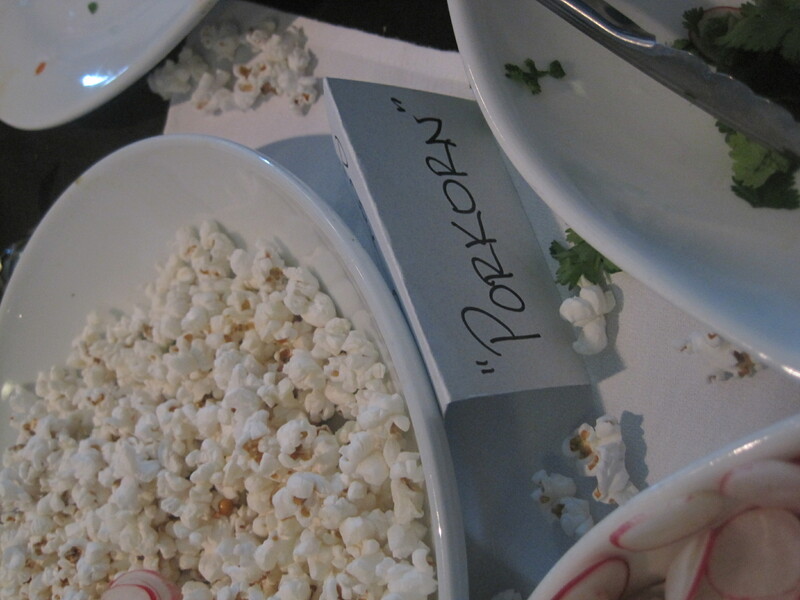 Food is not entirely personal. It’s about community. So we have to be honest with the community we share it with. So here is my honesty. I adore food. I promise that will never change. What is changing is my approach. How do you approach food and maintain balance in your eating?